Sizzlits Alphabet Sets are a total lettering solution. Compact and portable, each die is designed to cut a single sheet of cardstock, paper, metallic foil or vellum. Measuring 2 3/8-Inch x 2 5/8-Inch, each die in this 35-die Alpha Bubbles Alphabet Set showcases the playful style of noted Ellison die artist Emily Humble. This set comes complete with uppercase letters, lowercase letters, numbers 0-9, plus select punctuation marks and more - all neatly organized in a specially designed storage case. On each die are one to two unique shapes, measuring approximately 1" tall. This alphabet works in the BIGkick, Big Shot and Vagabond machines (used with a pair of Cutting Pads and the machine's included Platform) and the Sidekick Machine (with a pair of Cutting Pads). All items sold separately. The Sizzlits Plastic Storage Case is specifically designed to hold a complete Sizzlits Alphabet Set. Offering tremendous functionality, the case allows for sorting, stacking and easy portability of your Sizzlits Dies. The exterior of the case is approximately 10-Inch x 3 5/8-Inch x 2 3/4-Inch. Sizzlits Alphabet Sets are a total lettering solution. Compact and portable, each die is designed to cut a single sheet of cardstock, paper, metallic foil or vellum. Measuring 2 3/8-Inch x 2 5/8-Inch, each die in this 35-die Pep Squad Alphabet Set showcases the playful style of noted Ellison die artist Emily Humble. This set comes complete with uppercase letters, lowercase letters, numbers 0-9, plus select punctuation marks and more - all neatly organized in a specially designed storage case. On each die are one to two unique shapes, measuring approximately 1 3/4-Inch tall. This alphabet works in the original Sizzix Machine (with System Converter and Cutting Pads), as well as the BIGkick, Big Shot and Vagabond machines (used with a pair of Cutting Pads and the machine's included Platform) and the Sidekick Machine (with a pair of Cutting Pads). All items sold separately. The Sizzlits Plastic Storage Case is specifically designed to hold a complete Sizzlits Alphabet Set. Offering tremendous functionality, the case allows for sorting, stacking and easy portability of your Sizzlits Dies. The exterior of the case is approximately 10-Inch x 3 5/8-Inch x 2 3/4-Inch. Sizzlits Alphabet Sets are a total lettering solution. Compact and portable, each die is designed to cut a single sheet of cardstock, paper, metallic foil or vellum. 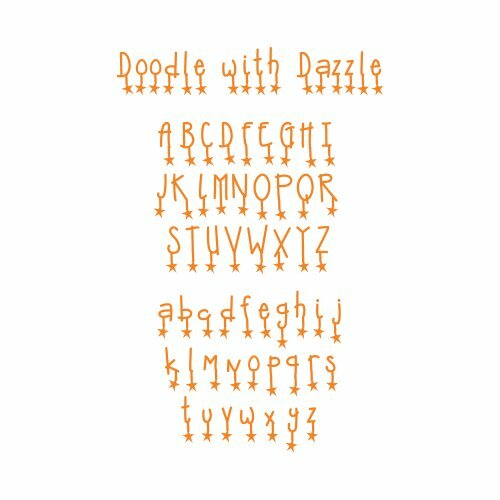 Measuring 2 3/8" x 2 5/8", each die in this 9-die Doodle with Dazzle Alphabet Set showcases the playful style of noted Ellison die artist Emily Humble. This set comes complete with uppercase and lowercase letters. On each die are four to six unique shapes, measuring approximately 1 1/4" tall. This alphabet works in the BIG kick, Big Shot and Vagabond machines (used with a pair of Cutting Pads and the machine's included Platform) and the Sidekick Machine (with a pair of Cutting Pads). All items sold separately. Sizzlits Alphabet Sets are a total lettering solution. Compact and portable, each die is designed to cut a single sheet of cardstock, paper, metallic foil or vellum. Measuring 2 3/8" x 2 5/8", each die in this 35-die Cherish Alphabet Set showcases the whimsical style of noted Ellison die artist Stu Kilgour. This set comes complete with uppercase letters, lowercase letters, numbers 0-9, plus select punctuation marks and more - all neatly organized in a specially designed storage case. On each die are one to two unique shapes, measuring approximately 1 1/4" tall. 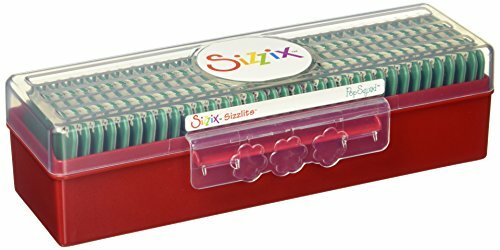 This alphabet works in the original Sizzix Machine (with System Converter and Cutting Pads), as well as the BIGkick and Big Shot machines (with the Multipurpose Platform and a pair of Cutting Pads) and the Sidekick Machine. All items sold separately. Sizzlits Decorative Strip Alphabets die-cut entire eye-catching alphabets onto single sheets of lightweight paper to cardstock. Decorative Strip Dies offer continuous charm to any card, scrapbook page or papermaking challenge. Sizzlits Alphabet Sets are a total lettering solution. Compact and portable, each die is designed to cut a single sheet of cardstock, paper, metallic foil or vellum. Measuring 2 3/8" x 2 5/8", each die in this 35-die Abbie Lover Duvers Alphabet Set showcases the whimsical style of noted Ellison die artist Stu Kilgour. This set comes complete with uppercase letters, lowercase letters, numbers 0-9, plus select punctuation marks and more - all neatly organized in a specially designed storage case. On each die are one to two unique shapes, measuring approximately 1 3/4" tall. This alphabet works in the BIGkick and Big Shot machines (with the Multipurpose Platform and a pair of Cutting Pads) and the Sidekick Machine. All items sold separately. Sizzlits Decorative Strip Alphabets die-cut entire eye-catching alphabets onto single sheets of lightweight paper to cardstock. 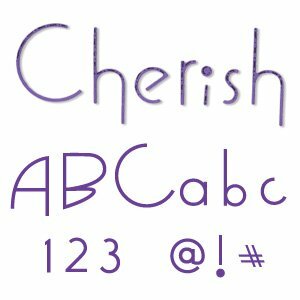 Decorative Strip Dies offer continuous charm to any card, scrapbook page or papermaking challenge. 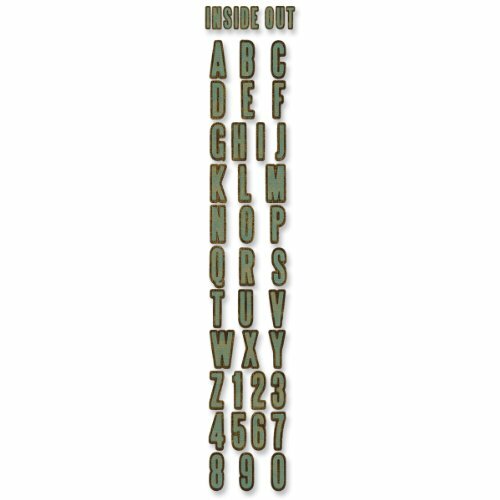 With 3/4" letters, this Sizzlits Decorative Strip die showcases the bold and edgy style of Tim Holtz. Each Decorative Strip die measures 12 5/8" and is compatible with the BIGkick, Big Shot and Vagabond machines (with the Extended Spacer Platform and a pair of 13" Cutting Pads) and the Sidekick Machine (with a pair of 13" Cutting Pads). Sizzlits Alphabet Sets are a total lettering solution. 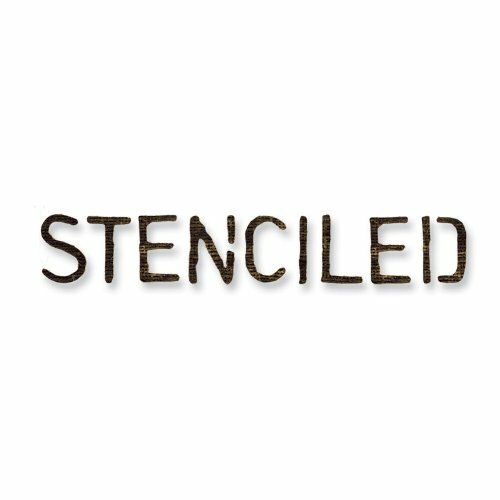 Compact and portable, each die is designed to cut a single sheet of cardstock, paper, metallic foil or vellum. Measuring 2 3/8-Inch x 2 5/8-Inch, each die in this 35-die Mac 'n' Cheese Alphabet Set showcases the whimsical style of noted Ellison die artist Stu Kilgour. This set comes complete with uppercase letters, lowercase letters, numbers 0-9, plus select punctuation marks and more - all neatly organized in a specially designed storage case. On each die are one to two unique shapes, measuring approximately 1 3/4-Inch tall. This alphabet works in the BIGkick, Big Shot and Vagabond machines (used with a pair of Cutting Pads and the machine's included Platform) and the Sidekick Machine (with a pair of Cutting Pads). All items sold separately. 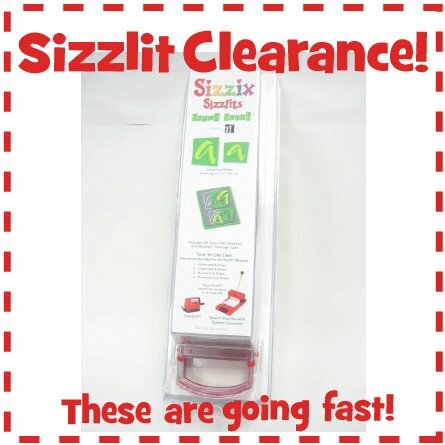 The Sizzlits Plastic Storage Case is specifically designed to hold a complete Sizzlits Alphabet Set. Offering tremendous functionality, the case allows for sorting, stacking and easy portability of your Sizzlits Dies. The exterior of the case is approximately 10-Inch x 3 5/8-Inch x 2 3/4-Inch. Sizzix Sizzlits LOVE LETTERS ALPHABET 655682 BEAUTIFUL!